Saturday was a rough night. We had friends staying overnight – they weren’t the problem! We had a lovely evening, sitting by the fire and chatting, while sampling my pickled garlic – no, the pickled garlic wasn’t the problem! Then we went out to the Carluc restaurant in Céreste and had a lovely meal – but, no, indigestion was not the problem, either! No, the problem was that our neighbours were having a party. Now, they had very cleverly invited us and apologised for the noise in advance, but at 2am, I was thinking that I’d definitely have gone around to ask that the music be turned down if I was at home in Cork, and I quite possibly would have called the Gardai when the thumping rhythms were still pounding through the walls at 3.30am. I had ear-plugs in, and I did sleep on and off, but it was not a restful night, and I was worrying about our friends, who had driven from Belgium on Saturday – an eleven hour road-trip – and were facing another eleven hours as they continued on their way to Spain on Sunday. I needn’t have worried, they said that they slept fine. I hope they weren’t just being polite, but I do think that their room was better insulated from the noise than ours. Undaunted, we headed up to the horses shortly after nine. They’re horsey folk, too, I got to know them through Dressage Ireland, and they were keen to see our set-up here in Provence. They Ooh’d and Aah’d over the incredible view from the arena, they liked the herd-living aspect of the Farm, they especially liked the sturdy field-shelters in every paddock, but most of all they were blown away by the beautiful, green, crisp, sweet-smelling hay! There’s none of the mouldy, dusty crap we get in Ireland here! We said our goodbyes (and thanks for the Barry’s Tea, guys!) and started to get ready. The horses were reasonably clean, so grooming and tacking up went quickly, with the LSH paying particular attention to Flurry’s Renegades, making sure they were good and tight. 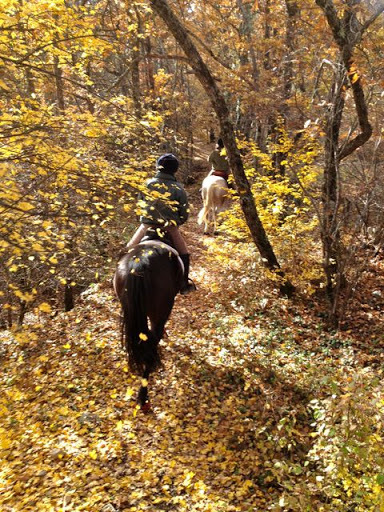 We set off, leading the horses once again, and headed into the woods on the other side of the road from the Farm. This time, there were two dogs coming with us – Doug and Chips, who is a wiry, energetic spaniel type. We mounted after a few minutes, but, literally within seconds, Flurry had broken his boot again – both he and Aero spooked at the dogs, and I guess he trod on it and pulled it off, with the cables once again being pulled out of their tracks. We decided to try him without his hind boots, and agreed that if he was uncomfortable, the LSH and I would head back home. So the LSH took off the other hind boot and tied both boots onto his saddle, remounted and we carried on. After about twenty minutes of following a track through the woods, we joined a marked walking trail which leads all the way down to Reillanne. Aero was very good – mostly! He spooked at the dogs a couple of times, particularly Chips, she is smaller and more active than Doug, and would suddenly shoot out from behind trees or bushes, intent on her hunting games, but frightening the living daylights out of Aero in the process. I noticed that the times when he relaxed and settled the most were the times when we were riding along roads or particularly wide tracks. Going through the thick woods or the scrubland we crossed, he gets more nervous and jumpy. This makes perfect sense – to date, any hacking he has done has been has been on country roads and through stubble fields. 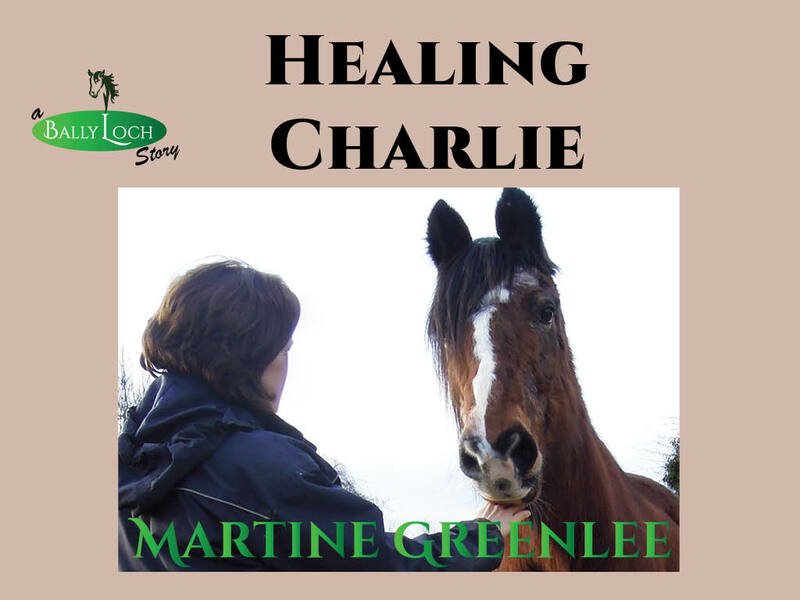 In his eventing days, open fields and moors would have meant a cross-country gallop with his blood up, but he has never come across this kind of heavily wooded, rocky terrain before – it’s all really new to him and he’s trying to figure out what he’s meant to do here. I’ve noticed him eyeing up heaps of stacked logs in the forest – perhaps he’s wondering if they are cross-country jumps? I did my level best to just sit in a relaxed manner all the time and keep the reins loose, but occasionally, I would have to pick them up and tell him to slow down, as he attempted to power-walk down steep slopes, or if his tension escalated into trotting sideways behind Quieto – not fun on a narrow, tree-lined trail, but to be fair, he wasn’t bad at all! We got off and led them once, because we had to pass along a section of broken trail with a drop to one side and low trees overhead – the sort of situation where you’re definitely better off on the ground. 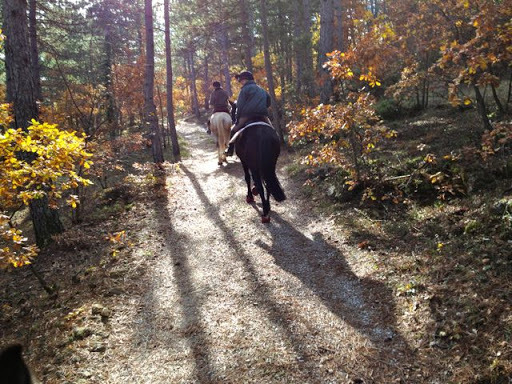 The couple of times we trotted, Aero was still rushing and I felt terribly uncomfortable on him. I ended up going into the forward seat, which felt a little better, but goodness me, I felt insecure doing it in a dressage saddle! It really was a lovely trek, as you can see from the photos. I had forgotten my camera (but I remembered the boot repair kit!) so the LSH snapped away with his iPhone as we went along. Of course he was on super-safe Flurry, so he had no worries about his horse spooking or getting silly and making him drop it! After about an hour and a half, we arrived at MC’s house. 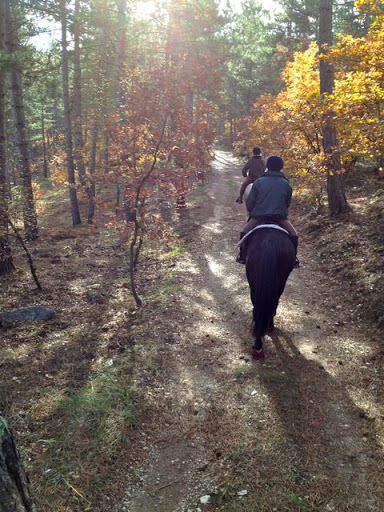 We offered the horses water, which they declined, MC offered us Diet Coke, which we accepted, we chatted a while and then we turned around and headed back the way we came. Aero was better on the way home. Chips came back with us, and although he spooked at her once or twice, I think he’s getting used to our canine companions. He came close to a meltdown at one point, though. 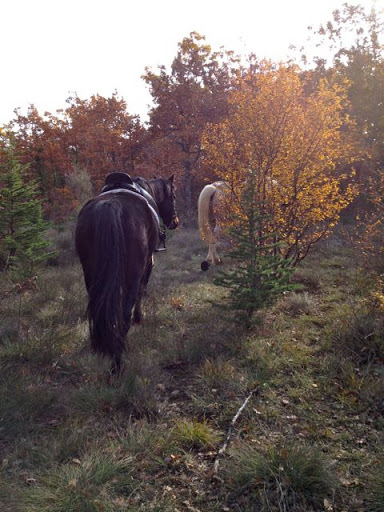 As we approached the point where we would have to lead the horses over the broken trail, we had to pass through a narrow, trappy thicket of trees. The LSH said he thought maybe we should dismount, but had a go at it anyway, but part of the way in, he said, no, we definitely need to be on foot for this. I stopped Aero before he went into the thicket, but he wanted to follow his dun friend no matter what and wasn’t impressed at being stopped. Flurry then went out of view, and he started to get really upset, spinning and dancing on the spot – so much so that I couldn’t dismount. Come back, I yelled, I’m in trouble, and a couple of seconds later the LSH appeared leading Flurry – they had gone a little deeper into the thicket where there was enough space to dismount, and then turned back to us. Aero calmed down enough for me to get off, but he was still quite tense, and was inclined to rush and step on my heels as we walked along. Eventually, I got cross with him and gave him a sharp tug on the reins and a slap across his chest. You know what? It worked. 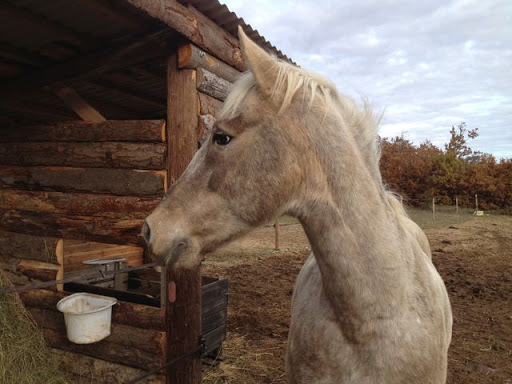 He behaved much better, and in fact once we remounted and finished the trek, he was calm, attentive and walking along at the buckle end of the reins, even as we approached the Farm! I only “tracked” the trip on the outward journey, which measured 6.3km, giving us a total of 12.6. It says it took two hours to cover the 6.3km, but I think we were only riding for three hours all told… not too sure about that. Aero’s Renegades once again were fine, although he does seem to feel some of the sharper stones through them, on his front feet. The leaves are falling thick and fast now but it's still beautiful. 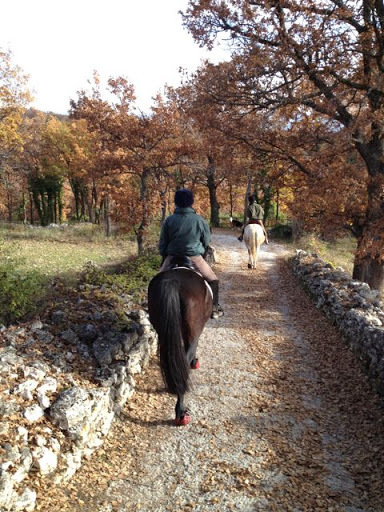 The scrub (cork) oak trees keep their dead leaves all winter, so they will be a muted russet colour for the winter.I do prefer the Renegades, I can't really say why, maybe as I use the Cavallos more I'll be able to put it into words. I love the pictures. What a gorgeous place for rides. I envy you. I'm sure your guy will calm down once he gets used to his new surroundings and the dogs. The neighbors party sounds slightly obnoxious. How nice that your friends from Belgium stopped by for a visit. Hope you get that new saddle from Santa. What a beautiful ride, you've still got colorful trees! We started looking into boots for our horses, but haven't decided which brand would work best. I hope Santa brings you a saddle! I really enjoy hearing about your French adventures Martine! I have always wanted to do just what you are doing. Thanks for posting.